[Extract] In 1990 Jafari presented a conceptual framework to describe the evolution of tourism research, policy and planning that consisted of four platforms referred to as advocacy, cautionary, adaptancy and knowledge-based. 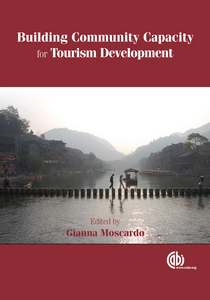 The advocacy platform was the first to appear and was based on the assumption that tourism was a positive tool for development and brought many economic benefits (Jafari,1990). As tourism emerged and grew in many destinations, a range of negative impacts began to be recognized and this resulted in a more critical and cautionary approach to tourism research and policy (Jafari, 1990). This more critical analysis within the cautionary platform gave rise to the search for alternative forms of tourism that could provide the benefits sought by the advocates for tourism without the negative costs identified by those with a more cautionary approach. This formed the core of the adaptancy platform and within this platform a number of different forms of tourism including ecotourism and community-based tourism were proposed (Jafari, 1990). While there is a historical progression within these three platforms, each still remains very much alive in different areas of tourism research and policy (Macbeth, 2005).